Oftentimes, I need input from others about my images. I cannot decide between the above images which one best portrays the overall feeling of the structure. I did rate the image without the railcars as the higher ranking, but I have my doubts. 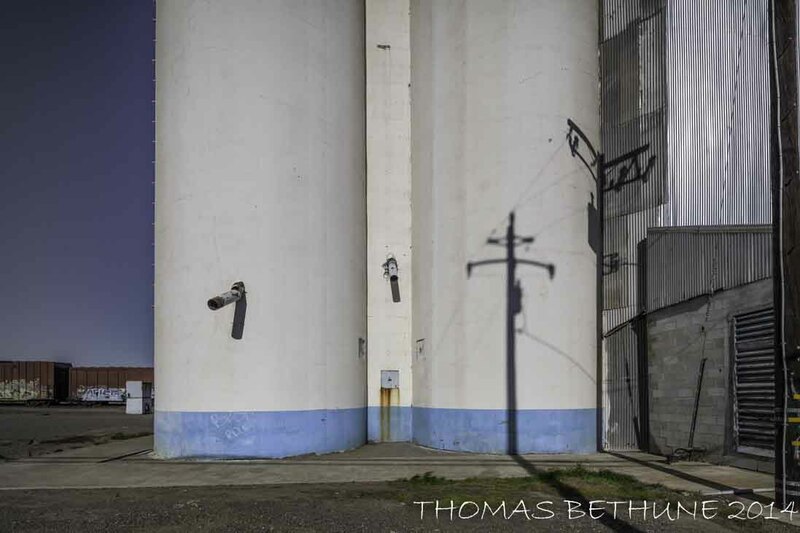 This entry was posted in California, central valley, sacramento valley, southern pacific, sp, train, Uncategorized and tagged fine art photography, railroad, Rice growers, sacramento valley. Bookmark the permalink. The one with the rail cars gives a sense of place. The other is more about shadows and shapes. I prefer the one without rail cars. My focus is not divided. 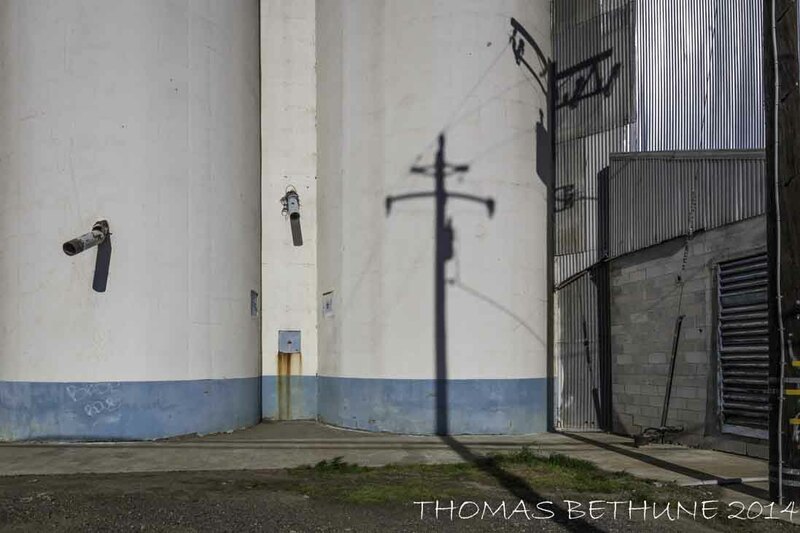 I was thinking about how the 2nd, closer image made me immediately notice the shadow of the highline pole. I hardly noticed it in the first picture. Then I read Foggy’s comment. Agree. And agree with Maya that the cropped picture is my fav.